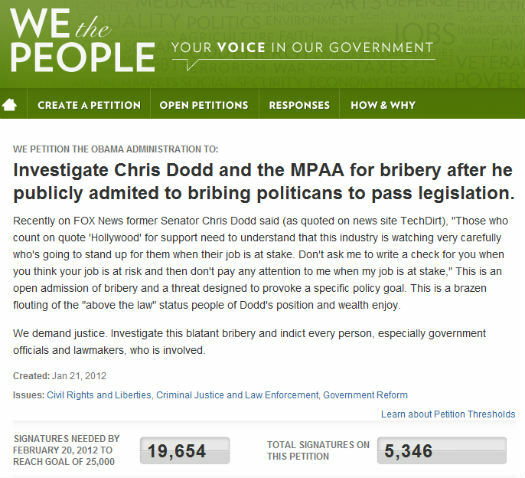 The public has started a petition asking the White House to investigate comments made by MPAA CEO Chris Dodd a few days ago on Fox News. Closing a tumultuous week of wide protest against PIPA and SOPA - two MPAA backed anti-piracy bills - Dodd threatened to stop the cash-flow to politicians who dare to take a stand against pro-Hollywood legislation. Clear bribery, the petition claims, and already thousands agree. “Those who count on quote ‘Hollywood’ for support need to understand that this industry is watching very carefully who’s going to stand up for them when their job is at stake. 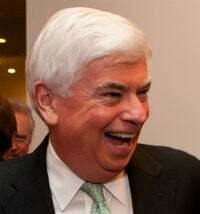 Don’t ask me to write a check for you when you think your job is at risk and then don’t pay any attention to me when my job is at stake,” Dodd said. c There are 190 comments. Add yours?